Fortnite: Battle Royale's 4.0 update has brought a variety of new content to the massively popular game, but the best additions are the changes to the map. The long-rumored comet has finally struck and it has changed the landscape of the map—for the better for a variety of reasons. There are new areas to visit and new ways to visit them, all while keeping the soul of the game intact. After playing multiple games of both Solos and Squads, the map feels way more balanced when it comes to both player and loot distribution. In the past, Squad games would empty out a good 50 to 60 players by the time the first circle finished because a bulk of the members of the game would go to a place like Tilted Towers. Now, though, everyone is checking out all of the new locations like the massive crater at Dusty Divot. This new huge area offers long sightlines and a decent amount of loot for a starting area, and players have been going there in droves. Other new places like Risky Reels also offer decent loot and a new place to land in an area that was previously filled with emptiness. The map now feels more lived-in than ever, especially with the inclusion of lesser areas like the mansion by Lonely Lodge or the villain's base on the mountain near Snobby Shores. Even Moisty Mire has been changed, because it features a movie set and more loot drops. It remains to be seen if the map will still feel this way in a few weeks once the novelty of new areas wears off and everyone begins dropping at Tilted again. But for now there are way more players in the final few circles in the many games I've played. The idea that Epic Games has set forward with the 4.0 update is very exciting. 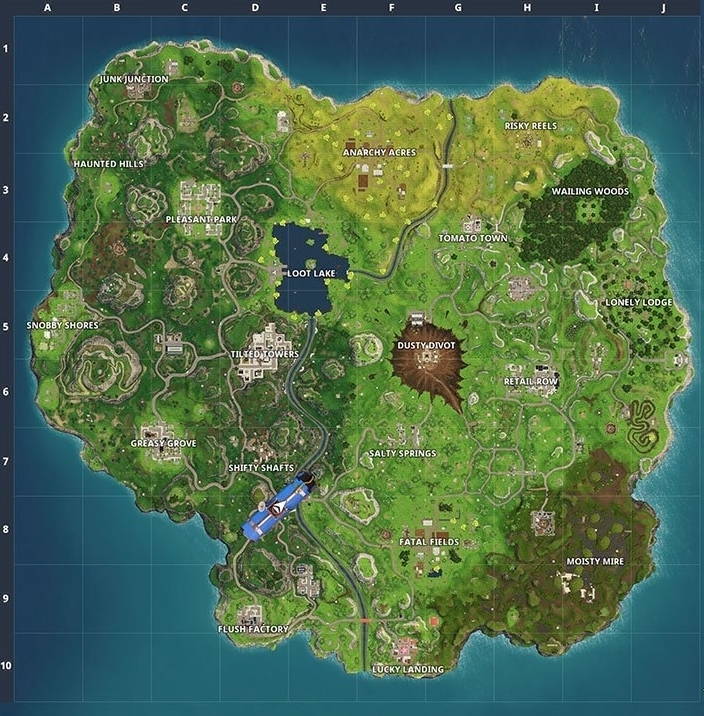 While new maps would be cool, they are not a necessity if Epic continues to overhaul the map every season. There are only so many things that can be added to the map before it gets cluttered, but having the landscape change over time is a great way to keep things fresh. Dusty Divot now completely changes the central area of the map, as Dusty Depot used to be a dreaded region of the map. The addition of Hop Rocks is also a huge plus as a way to shake things up in various areas by offering low gravity jumping for a short period of time. Maybe at the start of season five, Dusty Divot will be filled in and a new area of the map can change in a big way. Epic can effectively change the meta by changing the map in unique ways, and the prospects are limitless.